Due to high demand we are now offering an extra time slot for this workshop – 1:00pm-3:00pm. 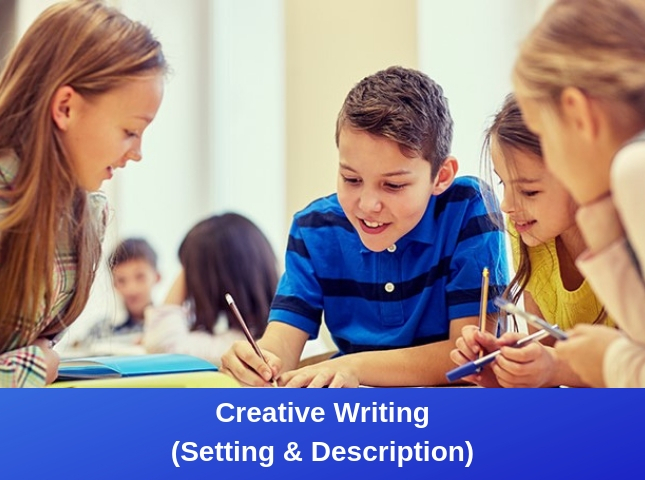 Description: The Creative Writing workshops are tailored towards the needs of Year 5 students sitting the GATE test and Selective Schools Scholarships. However, they are also a great way to enhance your child’s general writing skills that are invaluable in school. The creative writing workshops have been split over four days with each day covering the major areas of creative writing: Character, Setting, Plot and Dialogue. These workshops are most effective when all four sessions are attended. Students will only have a very short amount of time in the exams to show their creative writing skills and therefore being able to master the key areas will enable them to write more confidently in the GATE and scholarship exams. With so many students sitting the GATE test, it can be very hard to stand out from the crowd. Our program will look at various ways in which students can add detail and written features to their writing that interests and impresses the reader. Importantly, many of the skills and strategies we will cover also benefit students in their general schooling, and not just for the test.